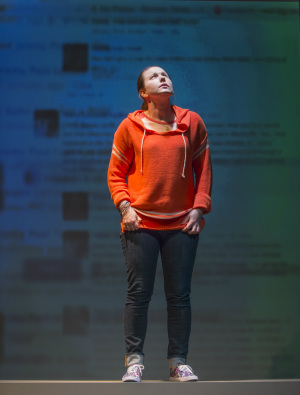 "...an acutely intelligent play about cyberbullying... highly recommended." "...a refreshing take on an increasingly severe problem. The acting of the all-female cast is of a very high standard...."
"Kathy Rucker’s tight, naturalistic script is brought to the fore with simple staging and a capable, all-female cast... Subtle conversational scenes brim with subtext: mere words contain catastrophic power, Rucker shows us. Weapon-like words, wielded in particular by girls, can wound – can kill." "Kathy Rucker’s Crystal Springs encapsulates many (social media issues) in a singular, gripping narrative... Rather than stigmatise young people, Rucker cleverly shows... that the craving for popularity and behaving childishly isn’t the monopoly of teenagers."